Factory Holset HE351 or Fleece Performance Cheetah 1/4" NPT: Designed for use with a 1/4" Pipe Fitting inlet. Borg Warner S300 or S400 Style turbos in 2nd Gen Location. 2003-2018 Ram 2500 Cummins Diesel. Put the finishing touches on your truck with this high quality Cummins Turbo Drain Tube Kit. The tube is braided stainless steel for durability on the exterior, and reinforced rubber tubing for flow and maximum flexibility. The Fleece FPE-593-2G-NT 2nd Gen Swap Kit has been specially designed to maximize performance in your 2003-2007 Dodge 5.9L Cummins. In other words, the swap locates the turbo in the center of the manifold with the outlet flange angled down. The Cummins Turbo Drain Tube Adapter is made from high quality 6061 aluminum and anodized black for a superior appearance. 1989-1993 Dodge D250 Cummins Diesel. 1994-2010 Dodge Ram2500 Cummins Diesel. 2003-2018 Dodge Ram2500 Cummins Diesel. 2003-2018 Dodge Ram3500 Cummins Diesel. 2003-2018 Ram 2500 Cummins Diesel. 2003-2018 Ram 3500 Cummins Diesel. Factory Holset HE351 or Fleece Performance Cheetah 1/4" NPT: Designed for use with a 1/4" Pipe Fitting inlet. When horsepower is increased there is also an increased demand on the cooling system. The rear cylinders suffer from a lack of coolant flow, and therefore, experience the highest coolant temperatures. Featuring our Fleece Performance exclusive 63mm FMW compressor wheel and a high flow turbine wheel; this turbo is capable of supporting 700HP, without sacrificing any drivability. Enjoy lower EGT's, smooth and quick throttle response, and big top end power. Featuring a Fleece Performance exclusive 63mm FMW compressor wheel and a high flow turbine wheel; this turbo is capable of supporting 650 RWHP, without sacrificing any drivability. Enjoy smooth and quick throttle response, big top end power, and that classic Cheetah sound. 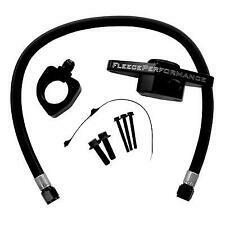 FLEECE FPE-CRTFL-S3S4 TURBO OIL FEED LINE. Fleece Performance. 2003-2015 Dodge 5.9L/6.7L Cummins (w/ S300-S400 Turbo). Extra Flexible Teflon Hose. 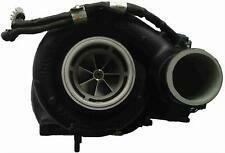 The S467 from Fleece Performance is not your standard out-of-the box S467.7 from Borg Warner. With its growing reputation for smooth and responsive power, it's sure to put a smile on your face when you let this turbo loose. Bigger is not always better! The S463 is a great place to start for any sub 700 RWHP application. The S463 is Fleece Performance's "GO TO" turbo for any 5.9 Common Rail Cummins with mild fueling upgrades that still needs to work for a living. The Fleece 5.9L Cummins S300/S400 Turbo Installation Kit includes necessary components to install an S300 or S400 on your 2003-2007 Dodge 5.9L Cummins. 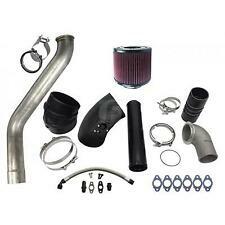 FLEECE 5.9L DIESEL S300/S400 TURBO INSTALLATION KIT. S463 Turbo . In other words, the swap kit locates the turbo in the center of the manifold with the outlet flange angled down. The major benefit for 2003 Common Rail Cummins trucks is the use of a divided manifold. S467 Turbo . In other words, the swap kit locates the turbo in the center of the manifold with the outlet flange angled down. The major benefit for 2003 Common Rail Cummins trucks is the use of a divided manifold. The Fleece FPE-593-2G-75 2nd Gen Swap Turbo Kit with S475 Turbo provides you with a solution to the hassle of finding all the misc. parts to do a "2nd Gen Swap" on your 2003-2007 Dodge 5.9L Cummins. The Fleece FPE-593-2G-68 2nd Gen Swap Turbo Kit with S468 Turbo provides you with a solution to the hassle of finding all the misc. parts to do a "2nd Gen Swap" on your 2003-2007 Dodge 5.9L Cummins. Featuring a Fleece Performance exclusive 63mm billet compressor wheel and a high flow turbine wheel; this turbo is capable of supporting 650 RWHP, without sacrificing any drivability. Enjoy lower EGT's, smooth and quick throttle response, big top end power, and that classic Cheetah sound. Featuring a 63mm billet compressor with FPE Exclusive Billet Compressor Wheel Technology and a high flow turbine wheel; this turbo is capable of supporting 650 RWHP, without sacrificing any drivability. 5 out of 5 stars - 04.5-07 DODGE RAM DIESEL FLEECE HOLSET CHEETAH COMMON RAIL TURBOCHARGER..
1 product rating1 product ratings - 04.5-07 DODGE RAM DIESEL FLEECE HOLSET CHEETAH COMMON RAIL TURBOCHARGER..
S471 Turbo . In other words, the swap kit locates the turbo in the center of the manifold with the outlet flange angled down. The major benefit for 2003 Common Rail Cummins trucks is the use of a divided manifold. S468 Turbo . In other words, the swap kit locates the turbo in the center of the manifold with the outlet flange angled down. The major benefit for 2003 Common Rail Cummins trucks is the use of a divided manifold. Enjoy lower EGT's, smooth and quick throttle response, big top end power. Whether it's towing, racing, sled pulling, or just driving to work the Holset VGT Cheetah will get the job done. Fleece Performance Exclusive FMW Compressor Wheel Technology. It features a Custom FPE Billet 63mm Compressor and a High Flow 65mm Turbine wheel. 1998.5-2002 Dodge 5.9L 24V Cummins Diesel (Manual Transmission ONLY). We are not able to send ANY race use products to the state of California. The Fleece 6.7L Cummins S300/S400 Turbo Installation Kit includes necessary components to install an S300 or S400 on your 07.5-13 Dodge 6.7L Cummins Pickup. 2007.5-2013 Dodge 6.7L Cummins Diesel. We are not able to send ANY race use products to the state of California. 2003 Cummins Turbo Oil Feed Line Kit for S300 and S400 Turbos in 2nd Gen Location. In other words, the swap locates the turbo in the center of the manifold with the outlet flange angled down. The major benefit for Common Rail trucks is the use of a divided manifold. 2003 Cummins Turbo Oil Feed Line Kit for S300 and S400 Turbos in 2nd Gen Location. Cummins Turbo Drain Tube Adapter. -10 Braided Steel Cummins Turbo Drain Tube. 2013-2016 Cummins 2nd Gen Kit CAC Pipe. The Fleece 5.9L Cummins S300/S400 Turbo Installation Kit includes necessary components to install an S300 or S400 on your 03-07 Dodge 5.9L Cummins Pickup. 2003-2007 Dodge 5.9L Cummins Diesel. We are not able to send ANY race use products to the state of California. Warranty: unspecified length 0. Part Number: FPE-674-2G-67.